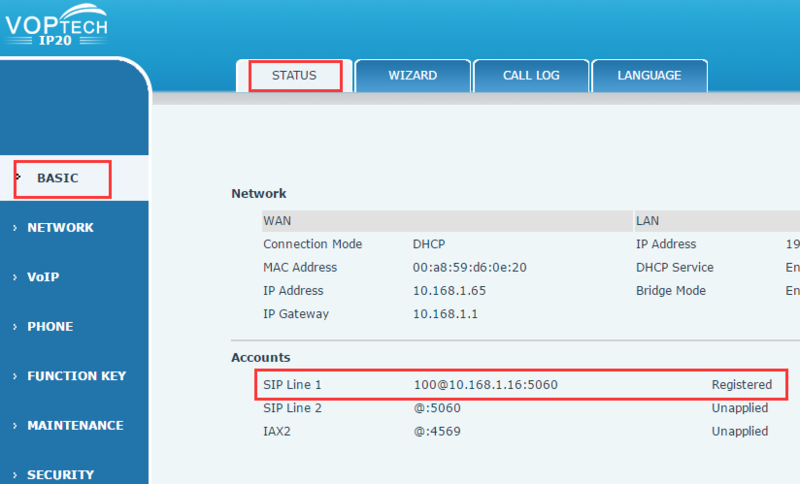 VOPTech IP series SIP phone supports auto-provisioning via SIP PnP, DHCP Option, and Phone Flash. 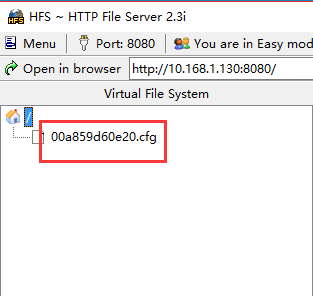 It supports FTP, TFTP, HTTP and HTTPS protocol. 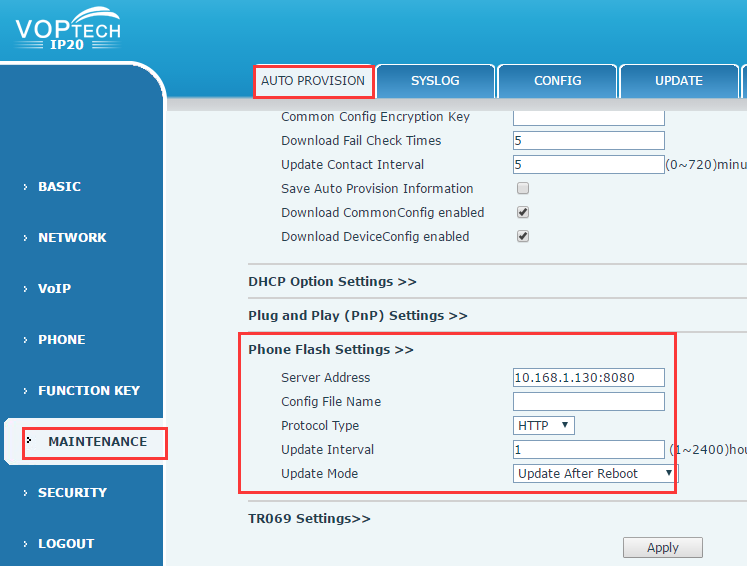 This guide is about the auto-provisioning of IP series SIP Phone via Phone Flash setting through HTTP protocol. 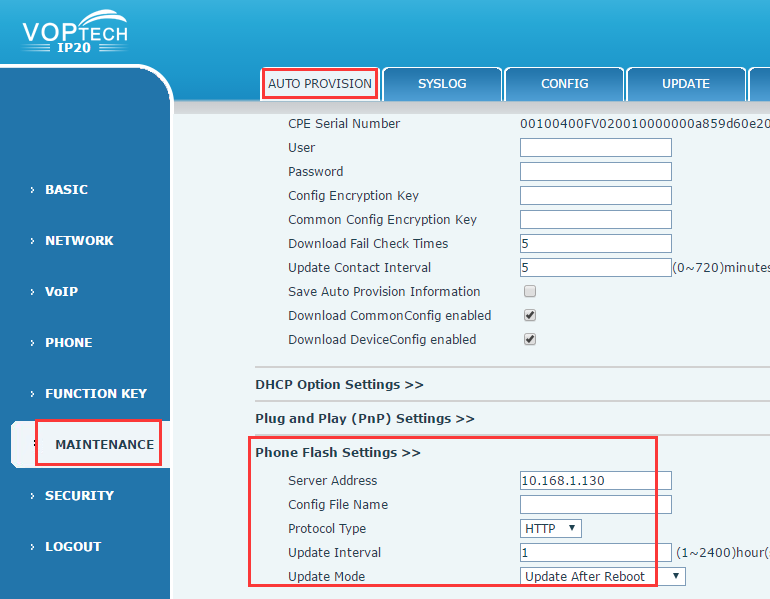 In this way, VOPTech SIP Phone(IP20P) will automatically gain the setting from the auto-configuration server. You just need to configure on your ACS side, accordingly, the setting in the phone side will be automatically updated too. Step 1: Let us prepare the config file. 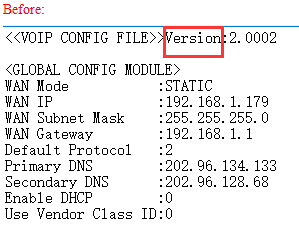 At last, we will use the MAC address of IP phone as the name of the config file, and change the suffix as cfg, then put the file into the update directory of the ACS, here we use HFS as our ACS. 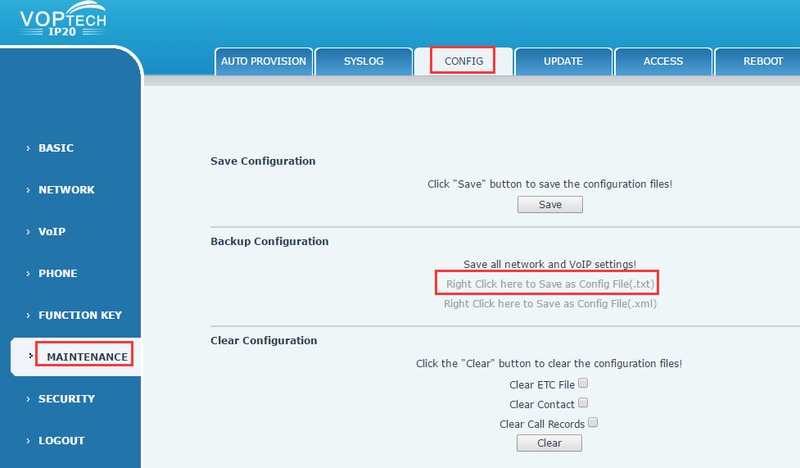 Step 2: Let us put the related information of ACS into one new IP phone. 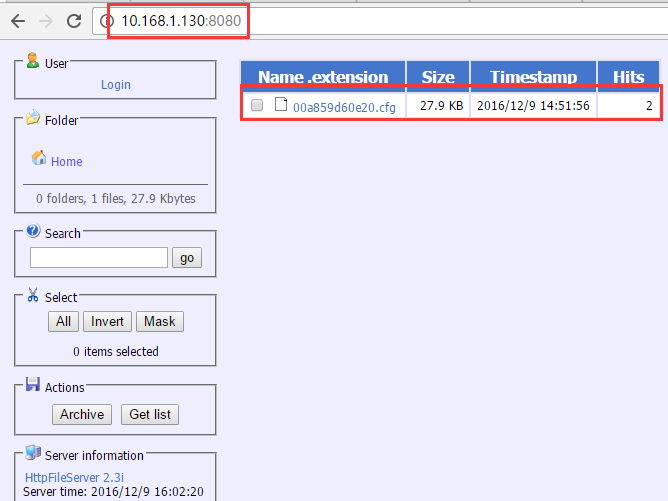 Server Address: here we need to input the complete address of update directory and make sure we can access the update file in the browser firstly, and 10.168.1.130:8080 is the IP address and port of the ACS. 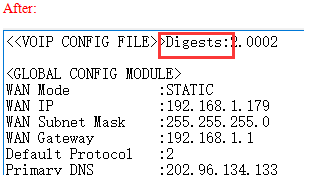 Config File Name: we can keep it blank because the phone will get the config file whose name is its MAC address.cfg automatically. Protocol Type: we use HTTP mode to update. Update Mode: we choose Update After Reboot, after the phone reboots, the phone will get the config file from the ACS. Step 3: we can try to reboot the phone, after that, if updating is successful, we can find the new setting in the IP phone. Should you have any questions regarding the auto-provisioning of VOPTech SIP Phone, please don’t be hesitate to contact support@voptech.com.